“I started working as a line cook in my father’s kitchen when I was nine, and I used to stand on milk crates to reach the prep table. While other kids were out playing baseball, I was learning how to make tortellini,” he said. Mastrantuono continued to work in his father’s restaurant throughout school. At 17, he was getting ready to graduate from high school the following year and become a trooper when his father’s chef was fired and there was no one who had the skills to take over. 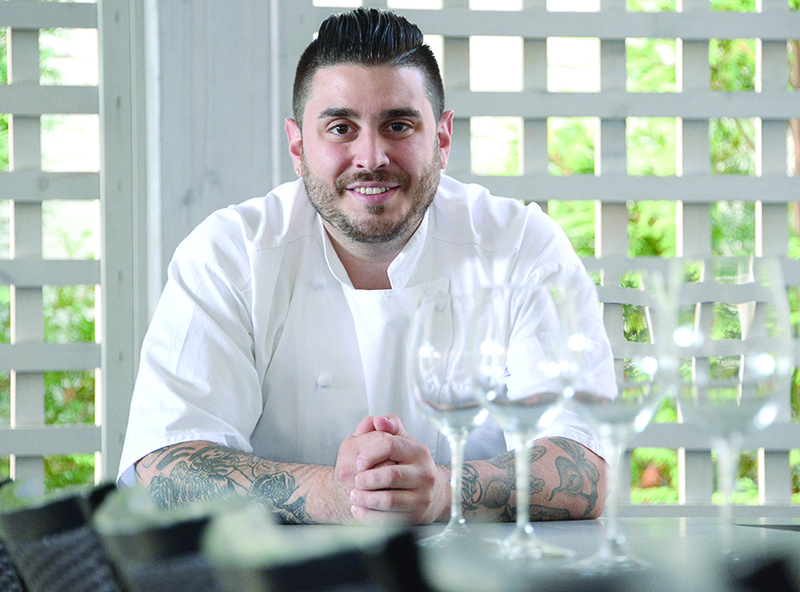 When he turned 18, Mastrantuono enrolled in the culinary program at SCCC. Mastrantuono admits that he had big shoes to fill in taking over the helm at 15 Church. He calls himself a different kind of chef. He is always studying, trying new things, watching for new trends. He likes to think and plan strategically. Most chefs say that it is difficult to work with another chef’s menu. The plan for this summer was to stay with the existing menu and transition to Mastrantuono’s own menu once the busy track season subsided. He expects to unveil 15 Church’s new concept by Oct. 15. Mastrantuono said this region has the best farms in the nation and it’s nothing for him to drive to Kinderhook’s Lover’s Leap Farm for the best pork, or other locations for the freshest vegetables. “I adapt my menu to what I have. People may not realize that ingredients can and do change on a daily basis. One day I may have garlic that’s very strong. And the next day, it could be much weaker. That’s going to influence the dish. That is one of the challenges of using local ingredients,” he said. To find out Mastrantuono’s “go to” meal at home go to his recipe here.